I was the principal instructor for a major test preparation company for a number of years, and I am certified to teach test prep for the PSAT, ACT, SAT, GMAT, and GRE. For more than ten years, I was an instructor for Math, Reading and Writing for a major after-school education program. As an Aerospace Engineer and Professional Tutor, I am fully qualified to tutor Math from elementary mathematics through Algebra II and Geometry, and Reading and Writing from phonics and grammar through college-level analysis and argument. Rate details: Please ask about a group rate for more than one student at a time. I have a Master's degree in Business, and I have been a successful businessman for nearly 40 years. I have fifteen years of tutoring experience. I have been a tutor for more than 20 years. I have taught hundreds of students during this time. My students master the Math, English, and Test Preparation Skills required for standardized tests. I tutor for the ACT, PSAT, SAT, GMAT, and GRE. Many of my students have done exceptionally well on these tests. I have been teaching GRE prep for 25 years. 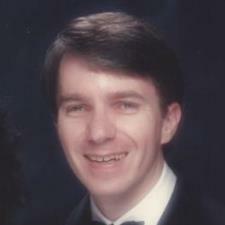 I have a Master's degree in Business, and I have been a successful engineer and businessman for nearly 40 years. I have taught hundreds of students, from children and teens to young adults, to understand English grammar. I have been a proofreader for many years, helping my Kaplan and Kumon students with their college essays, and later, helping my sons get acceptance letters from all the schools where they applied. I have a Bachelor's degree in Engineering and a Master's degree in Business, and I have been a successful engineer and businessman for nearly 40 years. In that time, I have come to believe that the mastery of statistics required for business are vital to young people in our high-tech world. As a Kumon Instructor for 11 years, I taught every aspect of Common Core. I have taught basic math, fractions and decimals, Algebra, and Geometry. I have taught reading including phonics and phonetics, spelling, grammar, and punctuation to college level argument and debate. During that time, I have taught hundreds of children and teens these vital skills and showed how they relate to Common Core. I was a Kumon Instructor for 11 years. Most of my students during that time were K-6 students. I taught math from Counting to Calculus. I taught reading from Phonics to Persuasive Writing. I have taught all aspects of English fron phonics to college level writing. I have a Bachelor's degree in Engineering and I have been a successful engineer and businessman for nearly 40 years. As a Kumon Instructor for 11 years, I taught every aspect of Math from fractions and decimals through Algebra and Geometry. During that time, I have taught hundreds of students, from children and teens to young adults, to understand and appreciate Science as a vital part of understanding how the world works. I have also taught these students to write excellent college applications and essays, and many of them have been accepted to top tier schools. I have been a certified Kumon Instructor for the past ten years. Kumon Reading Levels 7A through 2A are devoted completely to phonics, phonetics, and phonemics. These levels are always covered in a one-to-one fashion with our early learning and remedial students. As a result, I have spent hundreds of hours teaching these concepts to dozens and dozens of children. The children range in age from pre-K students of 3 to 4 to grammar school students of 9 to 10 years old. I was a Kumon Instructor for 11 years, so I know what it takes to achieve reading comprehension. As an after-school education instructor for 11 years, I taught every aspect of English, from phonics, phonetics, and phonemic learning through spelling, grammar, and punctuation to college level argument and debate. During that time, I taught hundreds of students, from children and teens to young adults, to understand that English is our primary form of communication. In fact, all of the concepts are related so closely to everyday life that anyone can learn to understand and use them with some coaching and guidance. As a Kumon Instructor for 11 years, I taught every aspect of Math and English. During that time, I have taught hundreds of students, from children and teens to young adults, to understand how to study and learn on their own. I have also taught these students to write excellent college applications and essays, and many of them have been accepted to top tier schools. As a Kumon Instructor for 11 years, I taught every aspect of English, from phonics, phonetics, and phonemic learning to college level argument and debate. During that time, I have taught hundreds of students, from children and teens to young adults, to understand that English is our primary form of communication. More importantly, I have taught that all of the concepts are related so closely to everyday life that anyone can learn to understand and use them. I have been teaching every aspect of English for the past 15 years. I was a private Instructor for 11 years, teaching reading and writing from the beginnings through college level work. I have been a student of history since I won the History Medal in high school. I tutored both my sons, who also won the history medals in their high schools. I won the geography contests when I was in school, and both my sons did just as well with my coaching. I coached both my sons through AP World History. They each got a 5 on the exam, and neither had to take history at University. I was the principal instructor for a major test preparation company for a number of years, and I am certified to teach. I have been teaching Algebra I for the past 15 years. I have taught all of the concepts related to Algebra 2 as closely as possible to everyday life so that anyone can learn to understand and use them. I tutored my sons for the AP Chemistry Exam, and they both tested out of college chemistry. I love teaching Geometry and showing how it relates to Algebra, Physics, and Engineering. I have been teaching the basics of math, Algebra I, and Algebra II. In the past fifteen years, I have taught hundreds of students to master the Math, English, and Test Preparation Skills required for the PLAN and ACT, the PSAT and SAT, and the GRE and GMAT. I firmly believe that anyone can learn to do well on any of these tests with my help. In the past fifteen years, I have taught hundreds of students to master the Math, English, and Test Preparation Skills required for the PLAN and ACT, the PSAT and SAT, and the GRE and GMAT. I firmly believe that anyone can learn to do well on any of these tests with my help. I have a Bachelor's degree in Engineering and I have been a successful engineer for nearly 40 years. I have a Bachelor of Science degree in Aerospace Engineering from the University of Southern California. I have a Certificate in Program Management with an emphasis in Systems Engineering from West Coast University. I have an MBA with an emphasis in Systems Management from the University of Phoenix. I worked as an engineer at Rockwell International on various Air Force and NASA programs, and later, as the Director of Engineering for Peterson Systems International. I have been teaching the basics of mathematics, including Geometry, Algebra I, Algebra II, and Trigonometry, for the past 15 years. During that time, I have taught hundreds of students, from children and teens to young adults, to understand that math is how the real world works. Anyone who can function in the real world can learn to master math. In fact, the concepts are so closely related to everyday life that many students actually understand the basics of math already. As a Kumon Instructor for 11 years, I taught every aspect of Math and English from basic skills to college level work. During that time, I have taught hundreds of teens and young adults to understand that mastering these skills is vital, not only to getting into the college of their choice, but to being successful at the college level and beyond. Along the way, I have also taught these students to write excellent college applications and essays, and many of them have been accepted to top tier schools. Alan has been tutoring my son in Geometry for the past month. After the first session, I knew Alan was going to make a difference in my sons learning and that is exactly what he has done. My son finally feels like he is understanding Geometry and his raised grade is proof of that. The teaching methodology Alan uses is multifaceted so he is able to address all styles of learners. Alan has been a great tutor and mentor to our son! He is amazing!! He is very knowledgeable and provide excellent techniques for test prep. We are very happy with Alan’s tutoring. Alan is helping our son with College Algebra. Our son enjoys Alan's lessons and has the confidence needed to absorb the material. Alan also has helped with Psychology and constructing papers for our son's classes. My daughter is getting more organized, her grades are improving, and she said that if I got Alan's help at the beginning of high school , she would have been a 4.0 student. Great connection with his student! Alan figured out how our son learns and helped us make a plan to achieve it. He is an insightful tutor! We are looking forward to executing on our aligned goals!! My son just began lessons with Alan and he told me it went great. He is looking forward to lessons and that is really exciting for me. David told me Alan not only teaches but compares it to football which makes it fun him. Going to college is very important to both of us and Alan is really giving us confidence that we'll get a strong SAT score to help make that happen. Our daughter just had first session with Alan. We both liked his method of teaching and also felt his sincere desire for her to have successful experiences beyond his tutoring. He had many other suggestions for future preperation. We will continue to utilize his talents. Thank you, Alan for your patience with my son. It has been a challenge to find a tutor that is experienced with working with kids with ADHD and I appreciate your patience & planning with him. I look forward to working with you. Alan was prompt and professional. My son is taking Algebra 1 and a solid "C" student. Other tutors, according to my son, only help him with his home work and don't really help him learn. Alan was great with asking my son questions, providing different ways to do the same problems and giving me tips and ideas to help prepare my son for future math. My son and I were very happy with Alan and will definitely continue to use him as our tutor of choice. Alan is a great tutor. He is very patient and knowledgeable. His deep understating of math helps him explain it in a very easy to comprehend way. Couldn't be happier with my tutor.